Great game with two of the best expansions! This is a set of three (3) games in total. Each game is in great condition and well organized. 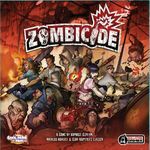 Approximately one-third of the miniatures from the three games are painted and stored in the Zombicide box. Foam inserts were added to the Zombicide to accommodate the miniature storage. The remainder of the game pieces are stored in the other two expansion boxes.